Last year in Japan, Nintendo released two new models of the New 3DS. 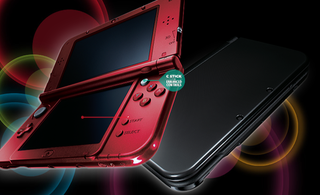 Next month in Europe, Nintendo will release two new models of the New 3DS. And on February 13 in North America, Nintendo will release... one model of the New 3DS. Yep, instead of getting to choose between two different versions of Nintendo's unfortunately-titled 3DS successor, North American fans are stuck with one: the New 3DS XL. That's the larger version. The smaller one—which is designed with swappable faceplates so people can tailor how it looks—isn't coming here. Nintendo has already given a semi-explanation as to why we aren't getting the smaller one—basically, they don't think it'll sell as well here—but all across the web, people AREN'T STANDING FOR IT. They're making their voices heard. They're starting petitions. Facebook groups. Big Reddit threads where they're organizing to call and e-mail Nintendo support lines until something gives. The goal: get Nintendo to give in and start selling the smaller New 3DS. It's a fair request, given that just about every other country is getting both models, and there are a lot of compelling reasons why people might want the smaller one. Some folks want those sweet customizable faceplates; others just think the New 3DS XL is too big. Of course, Nintendo's asinine naming policy makes this whole thing kind of hilarious. "Bring the New 3DS to America!" "Wait, I thought the New 3DS was already coming to America?" "No, that's the New 3DS XL, duh." Knowing Nintendo, they'll probably release the smaller one in like a year, just when everyone has given up on ever seeing it on this side of the world anyway. But if you're a bit more optimistic, and you want to see the New 3DS make its way over here, head on over to the Reddit megathread and get your phone call on.